IP Reputation Report-03292019 - NSFOCUS, Inc., a global network and cyber security leader, protects enterprises and carriers from advanced cyber attacks. 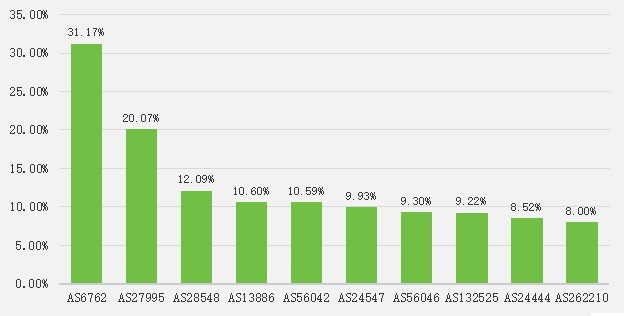 The above diagram shows the top 10 regions with the most malicious IP addresses from the NSFOCUS IP Reputation databases at March 29, 2019. From the diagram above, we can see the region Palestinian Territory has the biggest percentage of malicious IPs. 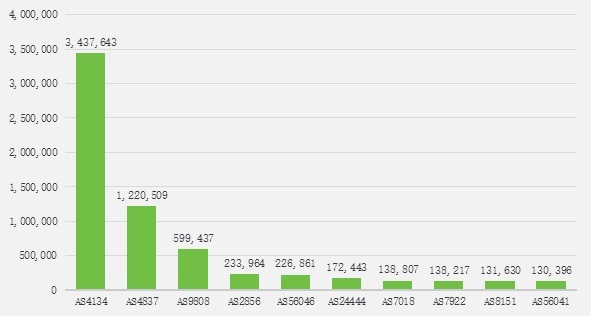 This diagram shows the top 10 ASNs at the March 29, 2019 with the malicious IPs. This diagram shows the weekly trend of IP Reputation with level 5 DDoS category for last 9 weeks from January 24, 2019 to March 29, 2019.